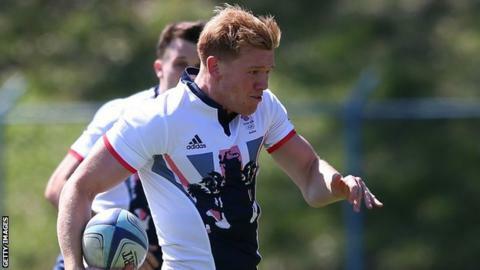 Wales and Great Britain sevens player Sam Cross has a chance to impress in rugby's 15-a-side version on Friday. The 2016 Rio Olympics silver medallist is on the bench in Ospreys' pre-season game at Leicester. Cross is a forward in sevens and back-rower in the sport's full version. Ospreys head coach Steve Tandy said: "We've been following Sam's development for some time now, identifying him as someone with potential to do well at the 15-man game."